Royalty-free stock vector clipart image of a male Christmas elf smiling and holding candy. Royalty-free stock vector clipart image of a female Christmas elf dancing and singing cheerfully. 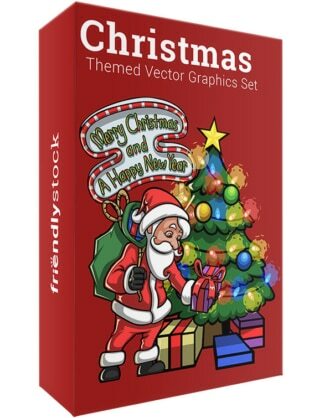 Royalty-free stock vector clipart image of a cute Christmas elf carrying a present on his head. Royalty-free stock vector clipart image of a cute black female elf holding a present in her hands.